Με αυτή την αγορά του προϊόντος, συλλέγετε 159 πόντους. Σύνολικά στο καλάθι έχετε 159 πόντους που μπορούν να μετατραπούν σε κουπόνι 7,95 €. Summon the powers of Mjolnir! With this premium Mjolnir Electronic Hammer from the Marvel Legends Series, wield Thor’s hammer and imagine channeling the powers of the Asgardian God of Thunder! Inspired by classic Thor and built at full-scale, this Electronic Hammer features premium design and styling, as well as intricate detailing on the hammer’s pommel, straps, and hammerhead. Highly detailed and 1:1 full-scale premium role-play items come to the Marvel Legends line! The 19.75-inch Mjolnir Electronic Hammer includes lights, sound effects, and voice-activated light feature that reveals the symbol of Odin, as well as an authentically designed wrist strap and pommel. The exterior of the hammer boasts a remarkable attention to detail and a beautiful, rugged design.Included stand allows for ultimate display, making the Mjolnir Electronic Hammer an impressive addition to any Marvel collection. 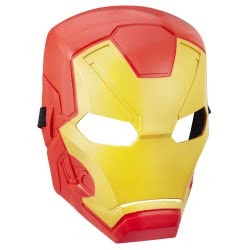 Includes Mjolnir electronic hammer and instructions. 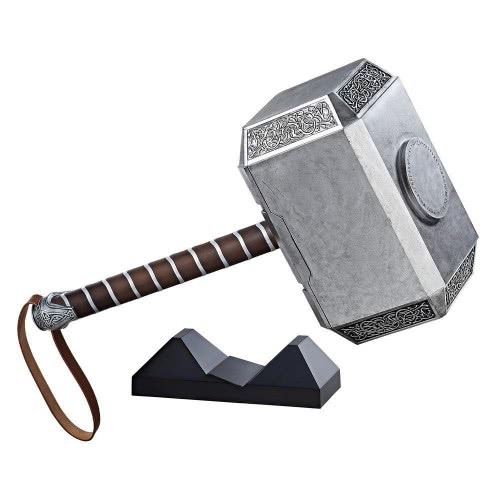 • 1:1 full scale 19.75-inch premium role play hammer • Authentically designed wrist strap and pommel • Voice-activated light features reveal the symbol of Odin• Premium detailing and finish • Wield the mighty Mjolnir! • ADULT • X3 1.5V AA ALKALINE BATTERIES REQUIRED. NOT INCLUDED. See instructions. • CAUTION: Do not hit or swing at people or animals.